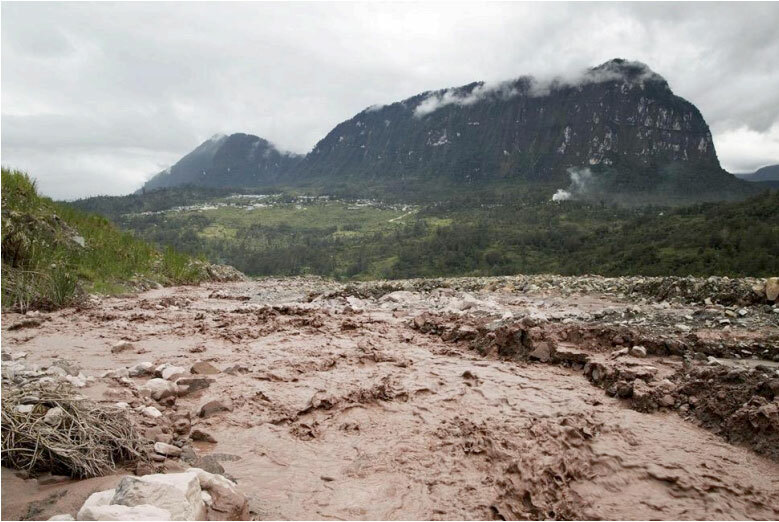 This year is a crucial year for Papua New Guinea’s mining industry as important players – in Hela, Porgera and Madang – are being examined over their performance. Chairman of Justice Foundation for Pogera, a not for profit organisation, Jonathan Paraia, who is the lead objector to Barrick (Niugini) Limited’s application for renewal on all its mining tenements in relation to Pogera Gold Mine, was turned down from giving his speech during the Mine Warden hearing in Pogera on Monday. 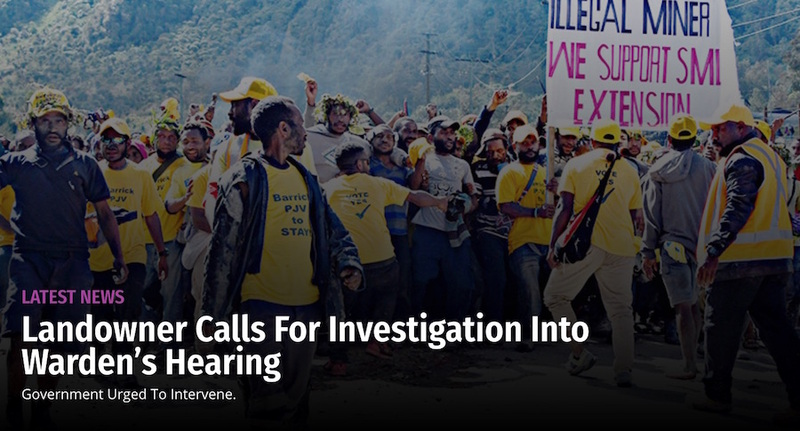 It is believed Paraia was in the stage of explaining the majority of the landowners’ stance as to why Barrick should not be granted its application for extension of the Special Mining Lease (SML) and other related tenements when he was deliberately told to stop by the Mine Warden. The Mine Warden at that time was Andrew Gunua from Mineral Resource Authority (MRA), the relevant statutory regulatory authority that regulates the Mining Industry in the country. An attempt made to get in touch with the Mine Warden Andrew Gunua, MRA and Barrick representatives as to why Paraia, the lead objector of the SML was stopped during his speech was unsuccessful. 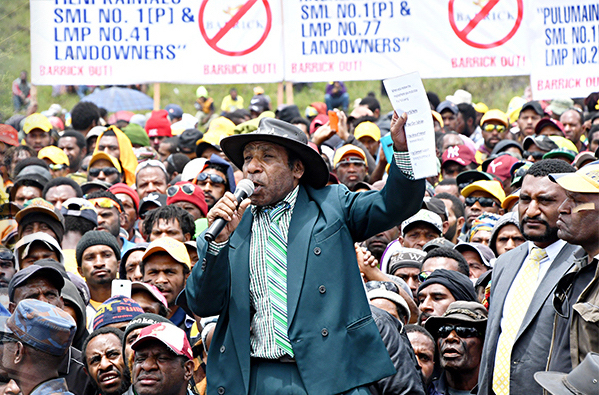 It is believed that majority of the landowners of the 24 SML clans and their agents who represents all landowners of Pogera SML area have objected that Barrick (Niugini) Limited will not renew its SML and other tenements. Barrick’s SML expires in August this year but it is believed the company has sent their applications to MRA for renewal. Meanwhile, a text message received from one of the Mining Resource Authority representative stated that Paraia could not be allowed to continue to talk on that day because he got his lawyer to talk. “The intent was for him (Paraia) to raise his views as to the work program for each tenement as explained by the developer,” Gunua stated in his response to the journalist (named), which the journalist posted on facebook. It further stated that as a result the Warden (Gunua) intervened to control Paraia even before he got his lawyer to talk. Paraia when asked about this said the whole scenario was a set up by Barrick to disturb the objections and views made by the majority of the landowners. “I represent the majority, 17 SML Agents out of the 24. The hearing today (on Monday) was for the Mine warden to hear the objectors’ views and not the parties that are in support of Barrick for its extension of SML license,” Paraia said. “The Mine Warden has failed his part and has compromised by allowing the other parties including Barrick’s senior community affairs Manager Timothy Andambo and others who were in support of Barrick to have more time to speak while I as the lead objector was turned down and not given enough time to explain why we, the majority of the landowners have objected for Barrick to renew its SML license. Even the microphone I was using to talk was put off,” Paraia said. The township of Porgera in Enga has come to a standstill as Porgera landowners were given the opportunity say whether gold miner Barrick (Niugini) Limited should extend its special mining lease (SML) or discontinue. 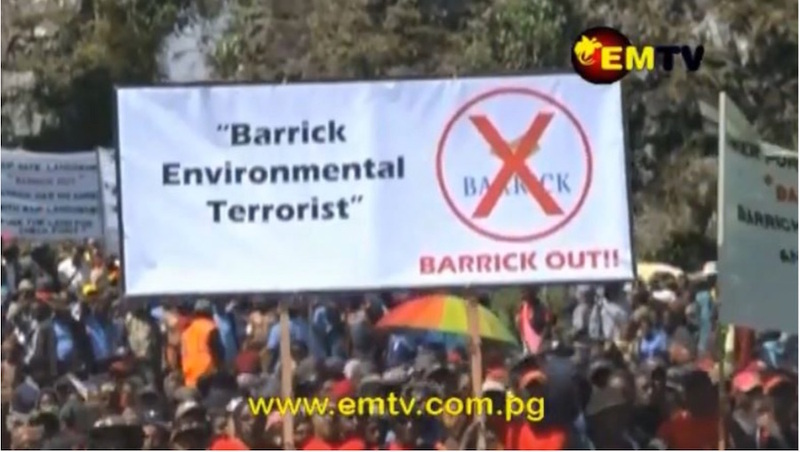 With the SML expiring on the 19th August this year, majority of the landowners have urged Barrick to leave while there are loyal factions who want Barrick to remain and extend its SML for another 20 years. Vocal and outspoken chairman of Justice Foundation, a non profit landowners organisation Jonathan Paraia claimed a lot of damage have been done to the lives of the people including damage to the surrounding environment and the people were spectators to their own land. “When are our government agencies going to support the interest of our people, provincial government and the State,” Ipatas said. Paraia has appealed to the government to amend the Mining Act to ensure landowners have benefits from equity distributions and they must be involved in decision making. There’s been several issues raised by the Porgera Landowners when the mine has been operating for around 30 years and today is the moment the Mine Warden is in town to hear what the landowners stance is on the SML and what they feel about the developer. 17 out of 24 agents of the landowners have called for Barrick to move out while only seven are believed to favor Barrick to remain. Barrick has applied to renew the special mining lease and other tenements that it currently holds to operate the Porgera Gold Mine for another 20 years. However this will be decided with a strong recommendation and objection put forward by Justice Foundation. The Enga Provincial Government has also objected to Barrick application for renewal of the tenements where the governor for Enga Peter Ipatas has stressed that his government will ensure that Barrick doesn’t get renewal of the tenements, but for a fresh SML and related tenements to be re-negotiated and issued. “The project will continue but the people of the province and especially the SML landowners will now have the opportunity to put their views together to see a new agreement,” Ipatas said yesterday. Meanwhile heavy police and military personnel are currently manning the Mining Warden’s hearing.